Heat the flat pan add 1/4 cup of oil. 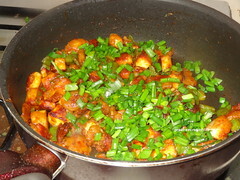 when it is hot place the marinated paneer and fry till they are brown in color (all sides) turn them regularly. 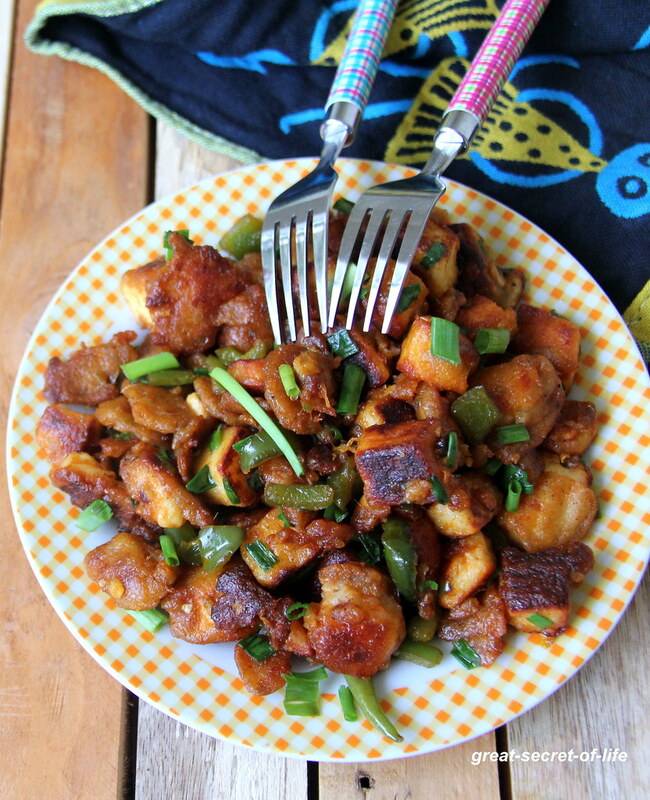 Remove the fried paneer and keep it aside. 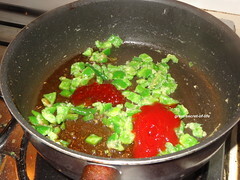 Add 1.5 tablespoon of oil in a pan. 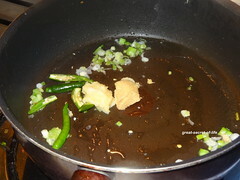 Add bottom portion of spring onion, green chillies, ginger paste and garlic paste. 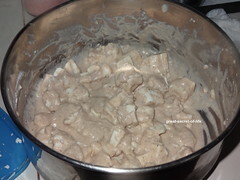 Fry till nice aroma releasedAdd diced Onion if you are using. Fry till onion is transparent (I didn't use Onion). 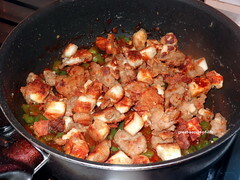 Add Diced capsicum and bit of salt. And mix well. 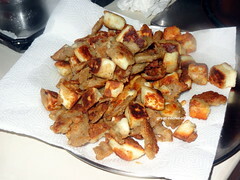 Fry for 2-3 mins. 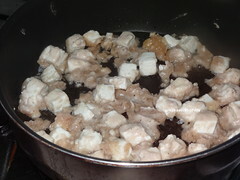 Now add soya sauce, Chilli sauce and tomato sauce. Mix well. 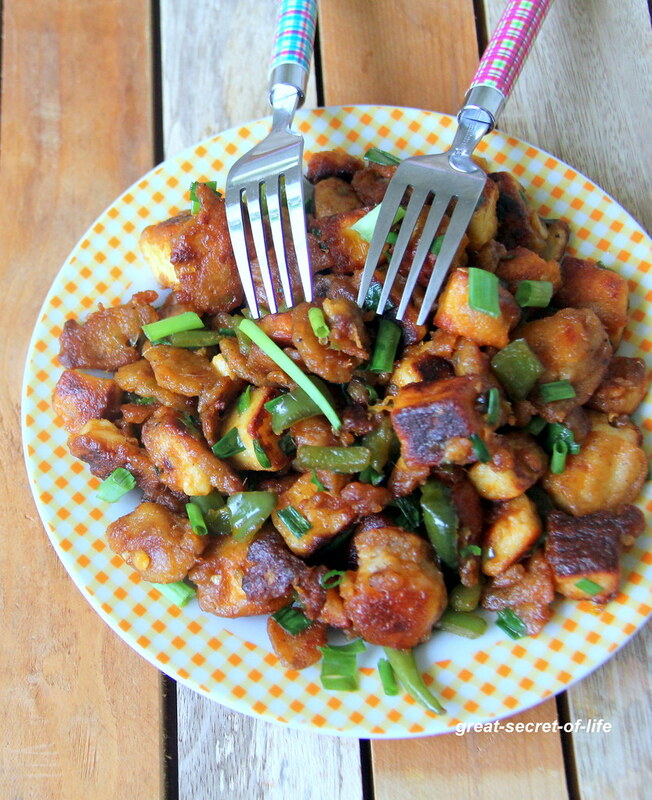 Add fried paneer. 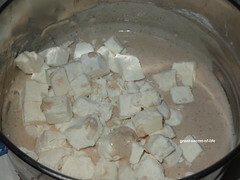 Mix well till all the masala coats evenly to Paneer. Add spring onions and mix well. Switch it off and serve hot. 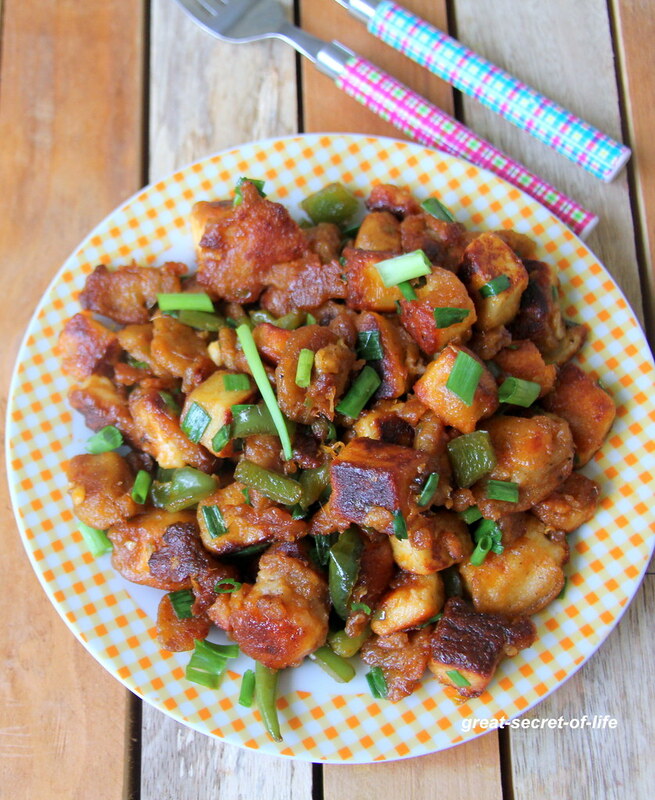 who can resist this chilli paneer, looks absolutely delicious.